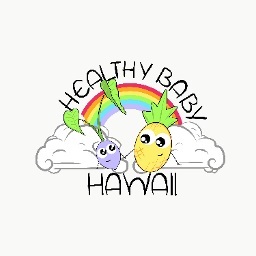 Healthy Baby Hawaii offers fresh, organic baby food right to your door! They are Hawaii’s first baby food company and their goal is to provide your keiki with fresh, healthy mealtime and snack solutions all while making it easy and convenient for parents. Healthy Baby Hawaii uses organic ingredients, no added preservatives, and no added sugar or salt. They use local produce (when available) and have gluten-free & vegan options. Their food items include blended and chunky purees, finger foods, BLW options and on-the-go snacks for the whole `ohana. They also offer lactation bites for nursing moms to help increase breast milk production and energy throughout the day. Follow them on Facebook and Instagram to see what flavors they have each week. Note: Place orders by 9 pm HST on Fridays for delivery on Sundays/Mondays. New customers can enjoy 10% off their first purchase and one free bag of lactation or protein bites when using promo code HMAAHBH.